I love the dark and mysterious colors of fall; dark greens, rich pink, orange, navy, silver, black… I could go on. Bring these bold colors into your wardrobe with a pop of color on your wrist. 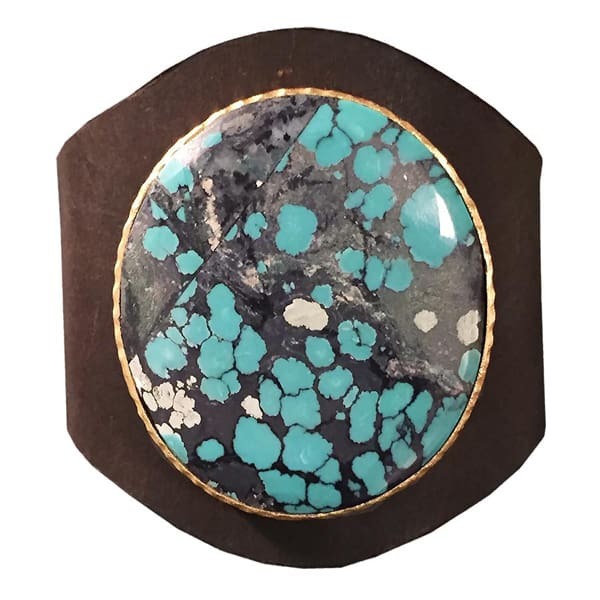 Up first is this stunning Christina Greene turquoise and leather cuff. Dark brown leather makes this an autumn friendly piece.